After weeks of floor debate and filibustering by pan-democratic lawmakers, the Legislative Council finally approved the HK$66.9 billion (US$8.6 billion) funding for the local section of the Guangzhou-Shenzhen-Hong Kong Express Rail Link (廣深港高速鐵路). The section will connect the city to the Mainland’s massive high-speed rail network, an ambitious program that boasts the world’s fastest and longest rail line among numerous other superlatives. Given Hong Kongers’ penchant for convenience and connectivity, you would expect the public to welcome the new transport system with open arms and open wallets. Our government had certainly counted on the rail link proposal, like so many other infrastructure projects in the past, to sail through the legislature without anyone putting up much of a fight. But the proposal has instead stirred up a hornets’ nest and landed the government in the center of one of the biggest political crises in recent memory. Angry protestors besieged the legislature building and nearby Chater Garden (遮打花園), turning busy Central into a bloodless Tiananmen Square. Young activists on makeshift podiums shouted stirring slogans alongside hungry strikers and their camping tents. To call the government’s handling of the controversy a miscalculation would be too generous. 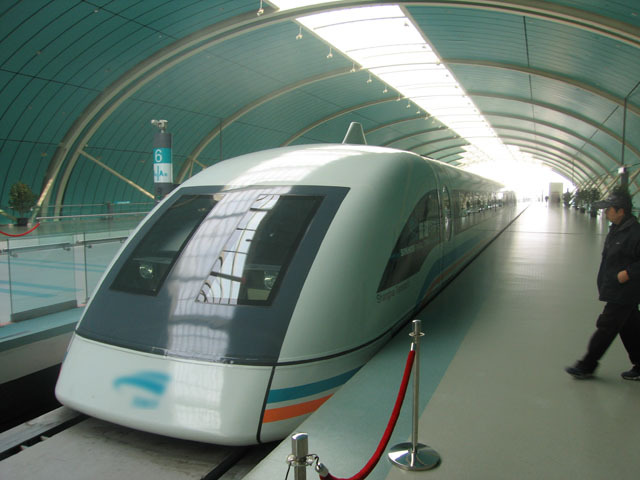 Under the current government proposal, the rail link will measure 26 kilometers in length and run for 11 minutes from Shenzhen (深圳) to West Kowloon (西九龍). The appendage is miniscule compared to the overall network but it comes with an eye-popping, jaw-dropping price tag, thanks to the government’s insistence to run the train route straight through the heart of the city and to stick the terminal right in the middle of an urban hub. 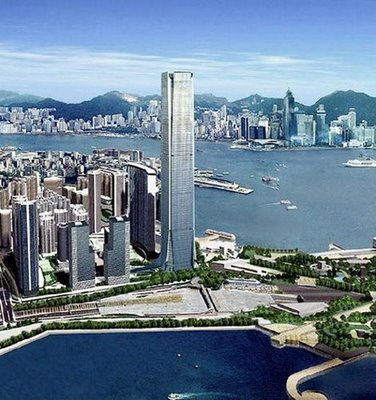 West Kowloon not only is the site of a high-profile cultural district under construction, but it is also home to the ICC, the city’s tallest building, and numerous other residential developments. At a time when every metropolis is moving its transport hubs away from the city to improve traffic and create opportunities for under-developed areas, the current rail proposal can be likened to bringing our airport from rural Lantau Island back to its original address in East Kowloon. Hong Kong’s strict environmental regulations require the entire railway to be built underground, which will cap the train’s top speed in the Hong Kong section at half of that of the national network. 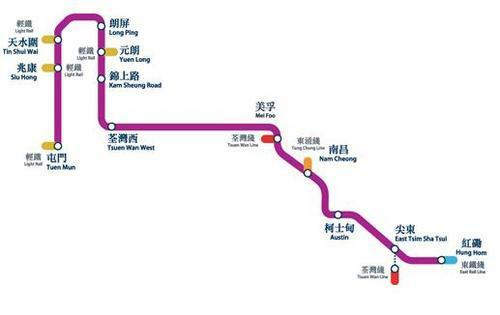 And as many engineers and experts have pointed out, these high-speed trains can very well run on MTR’s existing West Rail Line (西鐵綫), which connects the rest of Hong Kong to northwestern New Territories near the Shenzhen border. Under this so-called “shared use proposal” (共用方案), the high-speed train will utilize the under-utilized MTR tracks, thereby obviating the need for miles of tunnel to be dug. During hearings with law-makers, government officials rejected this sensible alternative because the train ride would take 13 minutes instead of 11. Putting it in less diplomatic terms, the government is bulldozing taxpayers with a plan that can potentially save passengers two minutes but will cost tens of billions more. It will be the costliest 120 seconds in the history of railway, a pork barrel project that makes Boston’s Big Dig seem prudent. But that is not all. The two-minute time saving becomes a complete myth once you factor in the need for passengers to get off the train to clear customs. Downplaying it as a “technicality” only to be worked out after construction begins, the government has swept under the rug an enormous administrative issue that not only could throw the promise of an 11-minute ride out the window, but also question the very rationale for building the Hong Kong link-up in the first place. 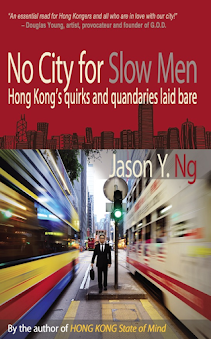 Perhaps our government figures that by the year 2047, Hong Kong’s “one country, two systems” will have expired and there won’t be a need for border control any more. On certain issues, it seems, our bureaucrats display exceptional far-sightedness and plan way ahead. Sticking to the oldest trick in their political playbook, government officials went to great lengths to divert attention away from the real issues, using political truisms like job creation and economic competitiveness. In much the same way opponents to the school-based drug test program (校本驗毒計劃) are accused of being soft on drugs, naysayers to the rail project are uniformly branded as trouble-makers who deny Hong Kong its geographical merger with the Mainland. The fact that there are viable options to connecting our city to the national network other than the one put forward by the government, such as the shared use proposal, continues to evade the gullible. The use of smoke and mirrors by governments is nothing new; what is surprising is the number of people who still fall for them. 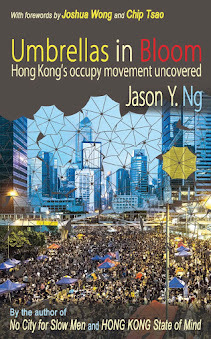 Tens of thousands of self-proclaimed “railway supporters” organized Facebook groups and took to the streets in the name of Hong Kong’s future, not realizing that they had completely missed the point and in doing so became mere pawns in the government’s political game. The rail link proposal, the largest infrastructure project since the 1997 Handover, defies common sense and has enraged the city from taxpayers and environmental activists to residents of Tsoi Yuen Tsuen (菜園村) soon to be displaced by the construction. Government officials’ refusal to budge even in the slightest is, at best, another example of their arrogance and highhandedness. At worst, it suggests that there may be much more to the story than what the public has been told. Did Beijing ordain a master plan nobody dare defy, or is it because of some gentlemen’s handshake with powerful property developers that cannot be retracted? In a city of pseudo-democracy and black-box governance, we will never know.